Description: From 3 to 6 feet tall. 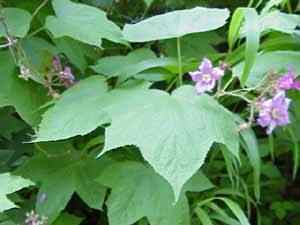 Leaves are broad with 3 to 5 triangular lobes having toothed margins. 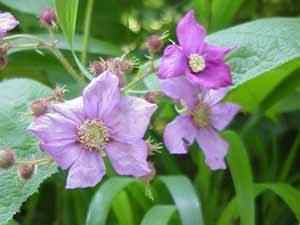 Flower color varies from pale pink to a deep purple, blooming continually through out. Fruit is reddish hairy very seedy. 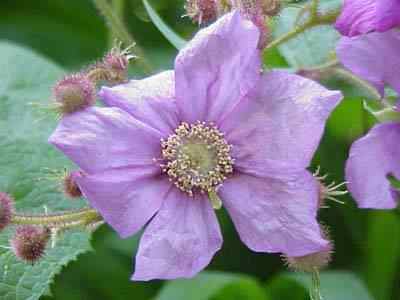 This the only member of the black raspberry group that has no prickles and where the leaves are not divided into segments. A beautiful flowering bush.